Forgiveness is the smell that lavender gives out when you tread on it. 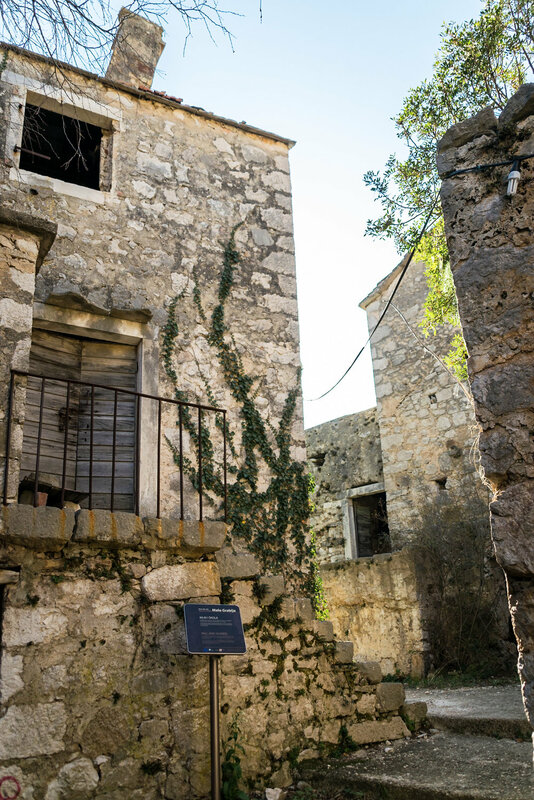 The lush, rocky mountains of Hvar hold many treasures, from breathtaking coastal views to wild, fragrant lavender to forgotten villages hundreds of years old. 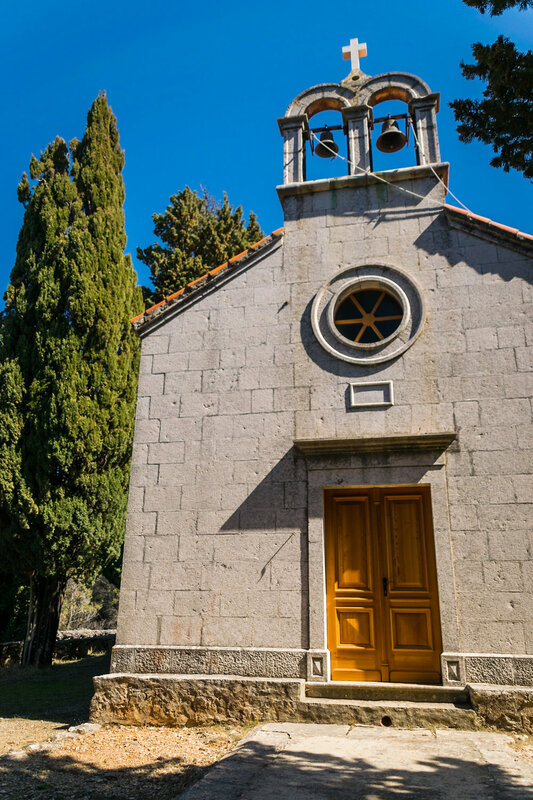 Having rented a car for one of my days on the island, I made my way through steep, rocky dirt roads in search of the two deserted villages of Malo Grablje and Humac. With no people or cars around to distract me, I was free to get lost in my thoughts as I wandered around the tiny isolated towns gradually becoming one with the dense forest that surrounds them. Nestled in the long, narrow valley below Velo Grablje is this uninhabited village, an outstanding example of a Mediterranean rural settlement that dates back to the 1530s. 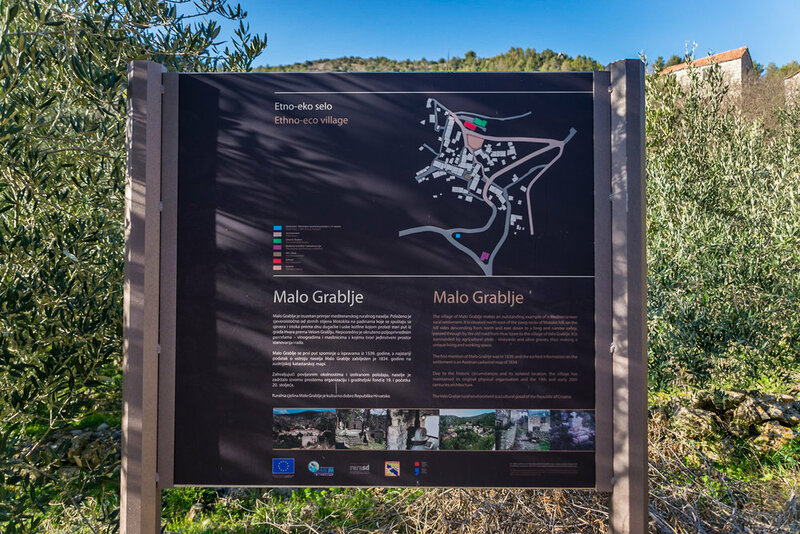 The insanely picturesque community is surrounded by vineyards and olive groves, agricultural plots worked by the residents of Malo Grablje for wealthy landowners in Hvar. Over time residents grew prosperous from wine production, which allowed them to build a water cistern, school, and library as well as purchase nearby coastal land (a parcel was given to each household, according to GoHvarBlog.com). By the 1950s and 60s, that coastal land beckoned to the people of Malo Grablje and they responded by packing up and leaving behind their homes, not bothering to sell their property and instead building new in the quaint cove of Milna. Despite being deserted today, when I visited the abandoned town I didn't come across any people but I noticed many signs of life: young olive trees growing on tidy plots of land, buildings being stabilized and rehabilitated, and spray painted arrows pointing to a restaurant popular in the summer season (advance reservations required). There are a few informational plaques throughout the site and visitors are free to wander around. 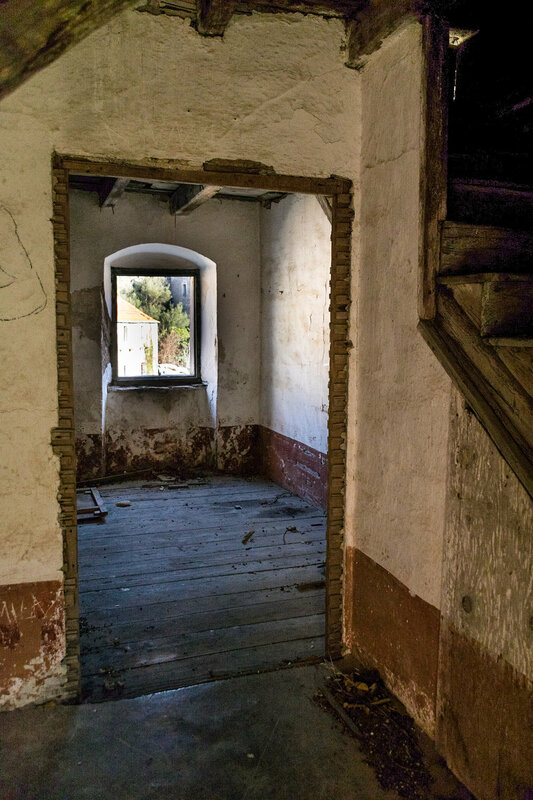 Most of the roofs and floors of the 19th-century stone buildings have collapsed and trees are growing where people once lived, thus making exploring the village’s compact layout while imagining life in Malo Grablje’s heyday quite the treat. 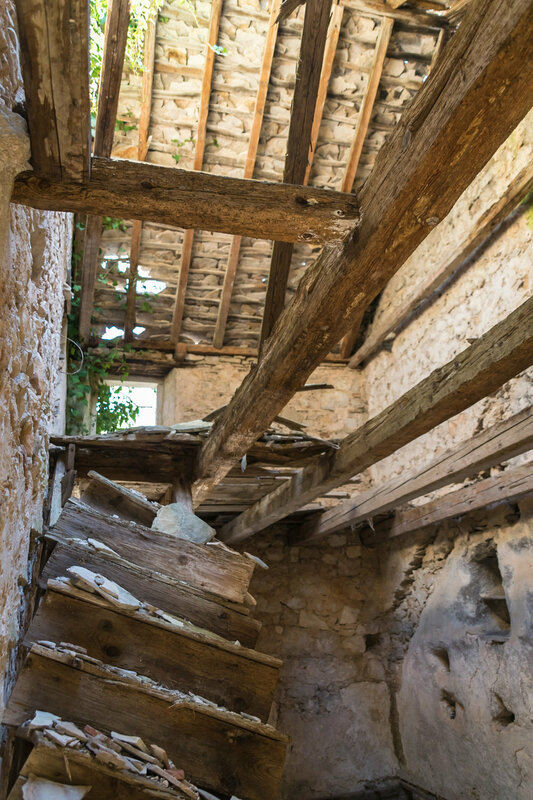 Uninhabited Humac is another great example of rural architecture from the 17th century on Hvar island. 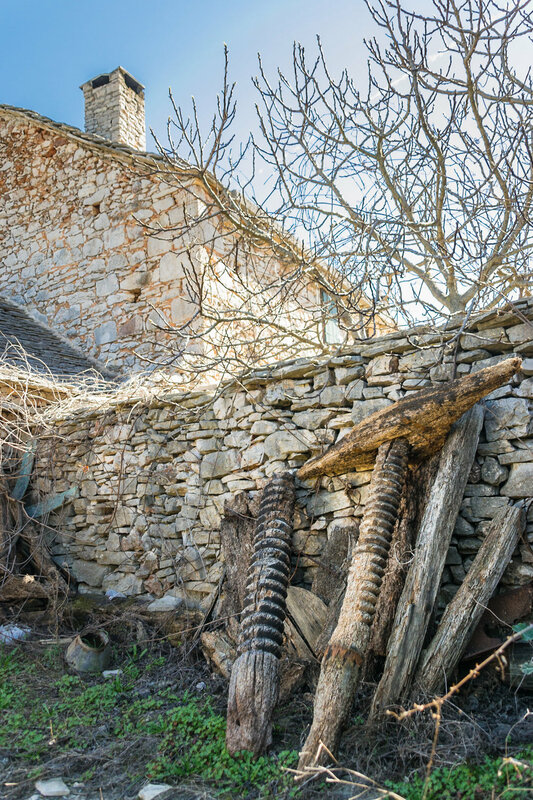 According to the village's Wikipedia page, many of Humac's simple stone buildings are built on foundations from the Stone Age and without binder so the walls narrow with height. Most of the buildings in this mountain town are merely remains of long-forgotten simpler times, but many buildings around the attractive courtyard are well-maintained; a restaurant by the entrance is open in the summer and serves traditional and locally-grown food. The village has not been occupied in centuries except for agricultural work, but the town is "brought to life" every year in celebration of the patron saints of Humac.